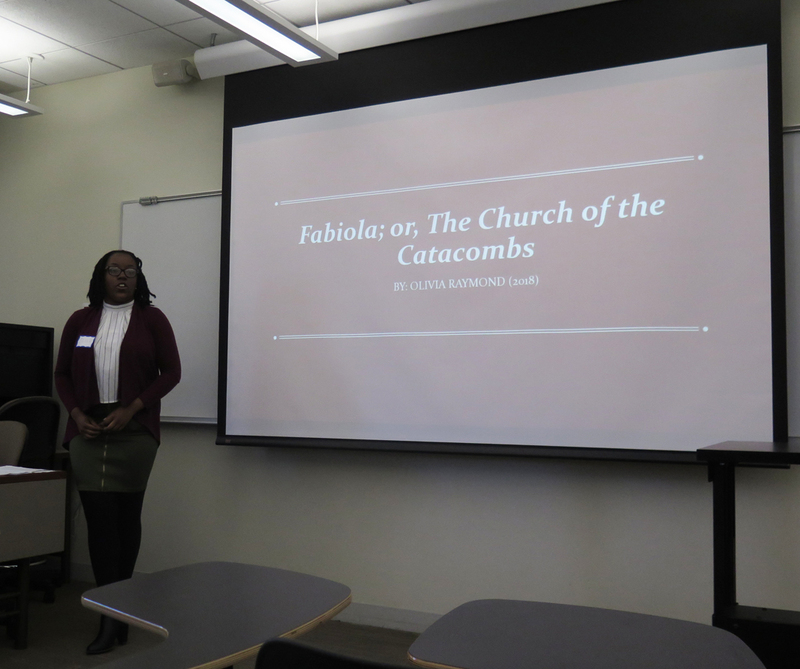 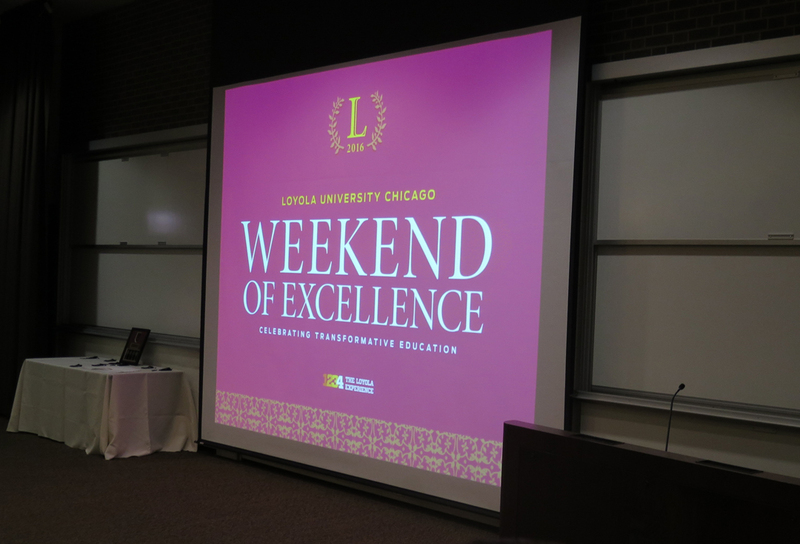 On Saturday, April 16th, Loyola held its annual Weekend of Excellence, a showcase of the research achievement of bright undergraduate and graduate students. 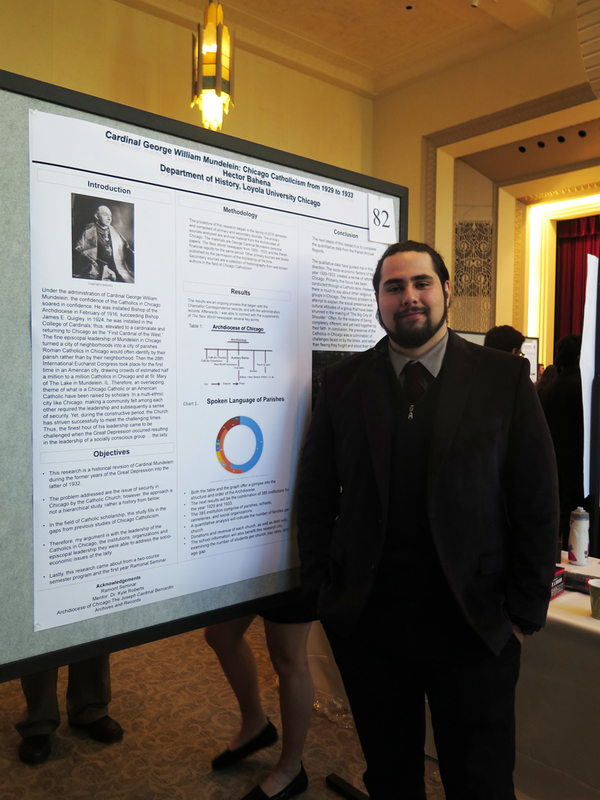 The Ramonat Scholars were present in full force throughout the day sharing their scholarship! 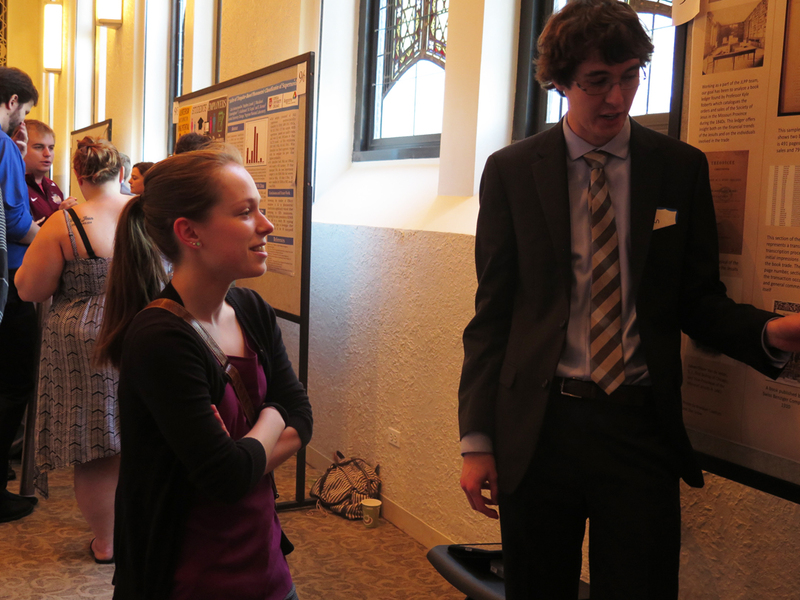 Ramonat Scholar Bianca Barcenas listens to fellow scholar Dan Snow’s presentation. 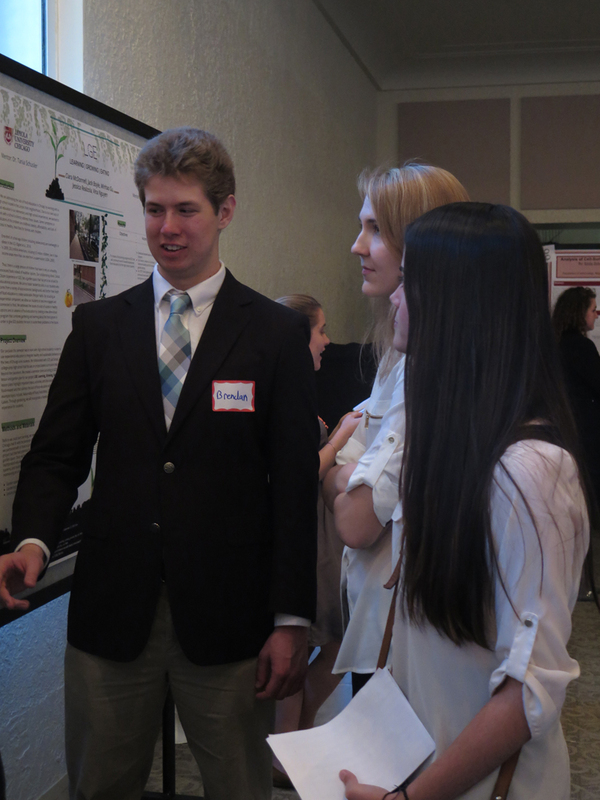 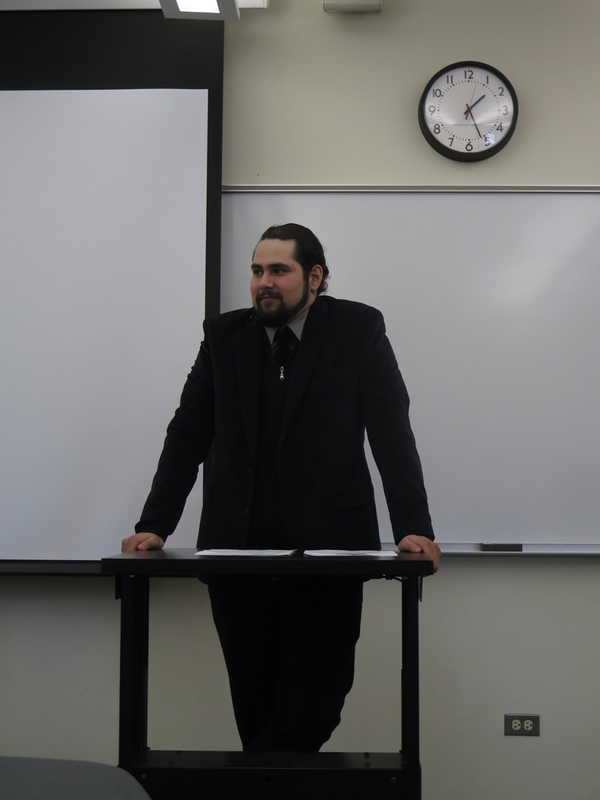 Ramonat Scholar Brendan Courtois explains his research to fellow Scholar Maya Sheikh. 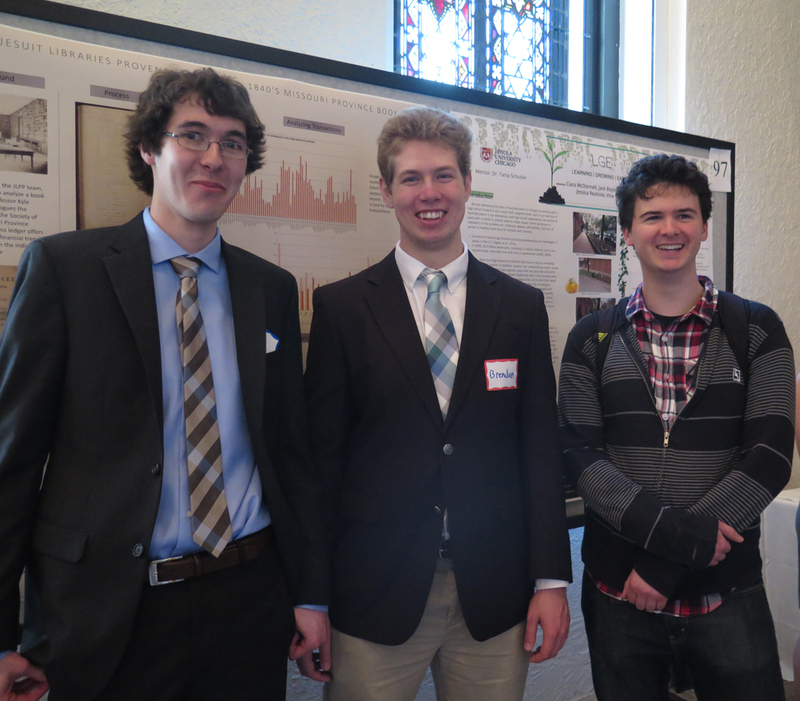 Ramonat Scholars Dan Snow, Brendan Courtois, and Andrew Kelly in front of Dan and Brendan’s poster. 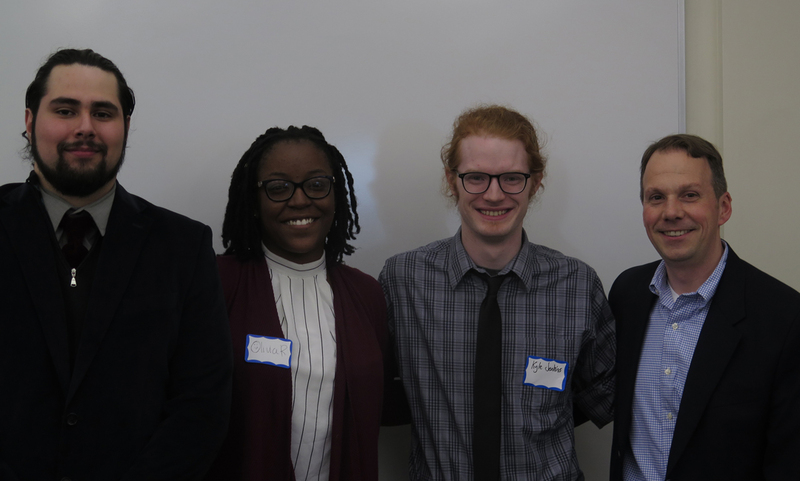 Ramonat Scholars Hector Bahena and Olivia Raymond, Secondary Education and History Major Kyle Jenkins, and Prof. Kyle Roberts. 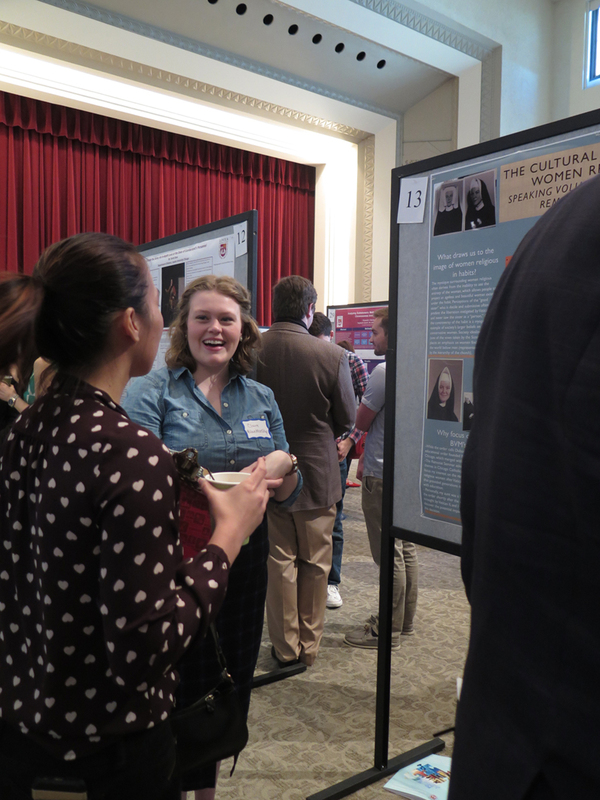 Ramonat Scholar Claire Blankenship explains her poster, “The Cultural Defiance of Women Religious,” to Patrick Green, Director of the Center for Experiential Learning. 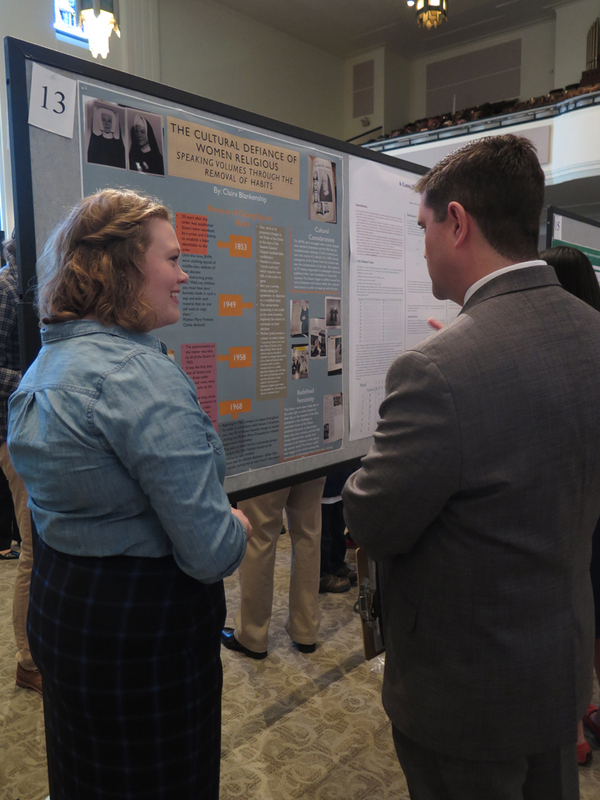 Claire Blankenship talking to another judge about her poster in the first session.